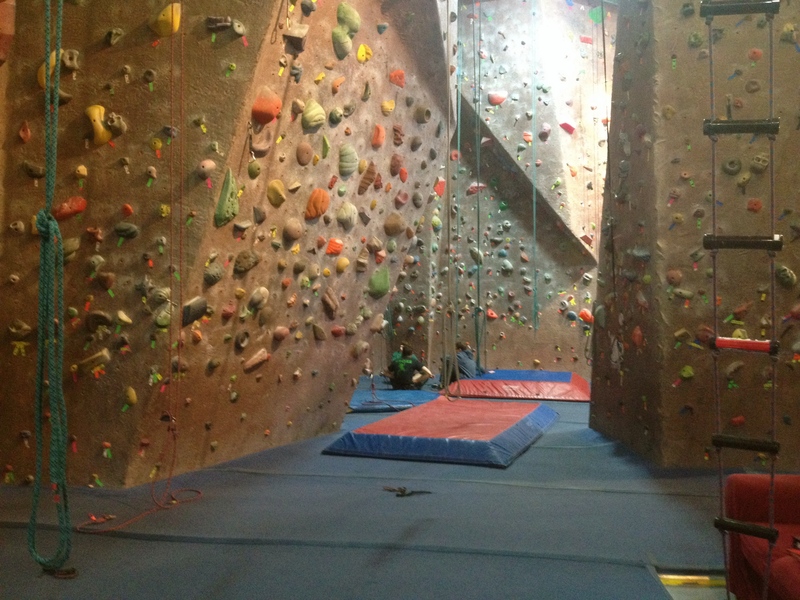 Yesterday I took my students to a rock climbing gym. Then, we blind folded them. 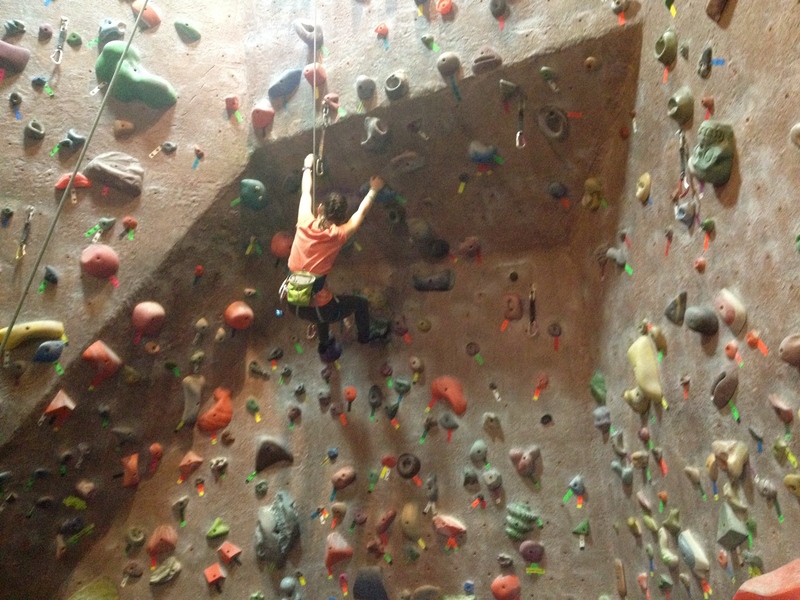 Hard, physical work; facing fears; and heightened tactile stimulation. My developmental psychology-trained brain was echoing a resounding YES! 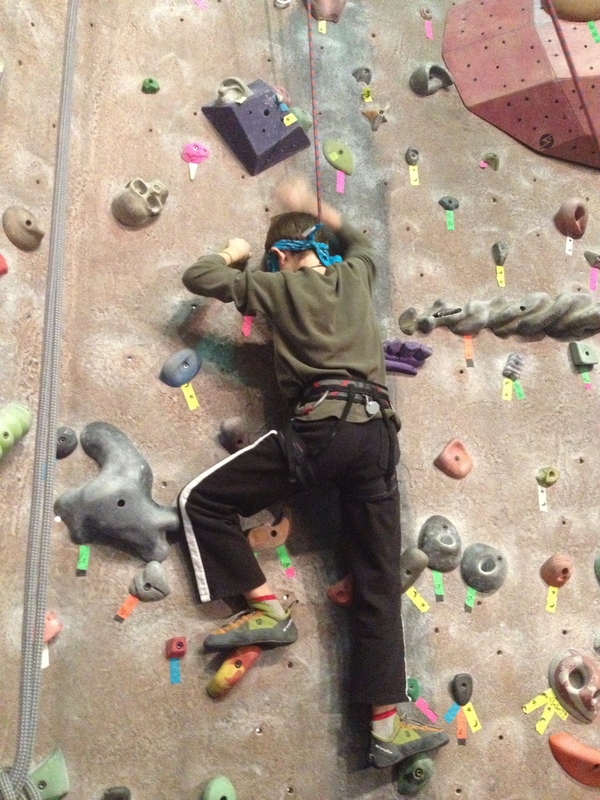 I love taking my class to things like this because the truth is: children need to climb. And furthermore, children need to take risks. 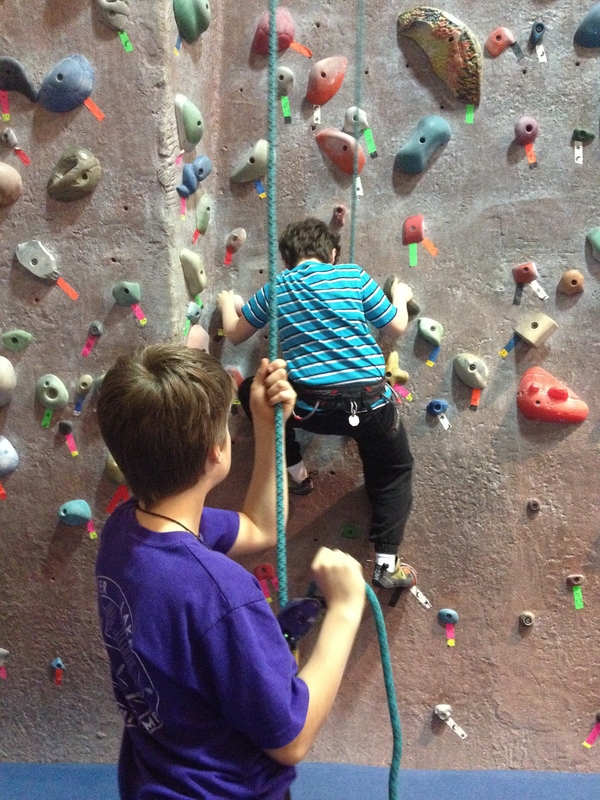 Climbing is a wonderful activity: it stimulates the child’s senses, it exercises their body and their brain, making the child rapidly coordinate signals between brain and limbs; it improves dexterity, coordination, strength, and confidence. Yet, in so many schoolyards simple activities such as climbing trees are banned. We have become a society of overprotective, fearful parents and teachers. The risk of injury for these activities is no greater than in was 20, 30, or 40 years ago, so why the heightened fear? We even have a popularized term now for these cosseting guardians: helicopter parents. Just like a helicopter, these parents are constantly circling over their children. It makes it difficult for the child to delve into their world of imaginative play or social play when Mom is constantly saying, “Don’t get too close,” “You’re a bit too high,” “Come down from there,” “I can’t see you,” “Put that stick down!” Of course, the intentions are pure. We just want the best for our children. We want them to be happy, healthy and self-assured. But in order to manifest this, we need to let go of our own fears and stop projecting them onto our children.Children are so intuitive and they are more sensitive to their parents than that of others. Children pick up on anxiety, they pick up on anger, and they definitely pick up on fear. By constantly saying “No,” “Don’t,” “Be careful,” we are making our children fearful of getting hurt, falling, or failing. When they do fall, get hurt, or fail in life they may already be so affected by the fear-based conditioning of adults that they will react much more emotionally due to poor coping skills and lack of resilience. Now with all this said, I’m not advising you should give your child a well-sharpened meat cleaver and send them off to go jumping on the trampoline. Of course, as adults it is our job to assess the risk and the ability of the child, and to make informed decisions on their safety. 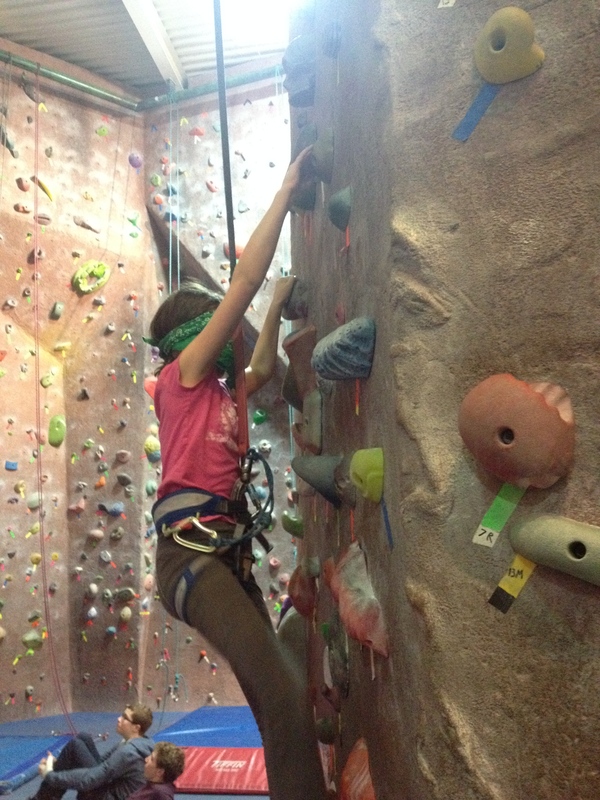 At the rock climbing gym it was our second visit, the children were trained by the staff how to use all the belay systems, and before each climb, a staff checks were performed. The floors were also heavily padded. 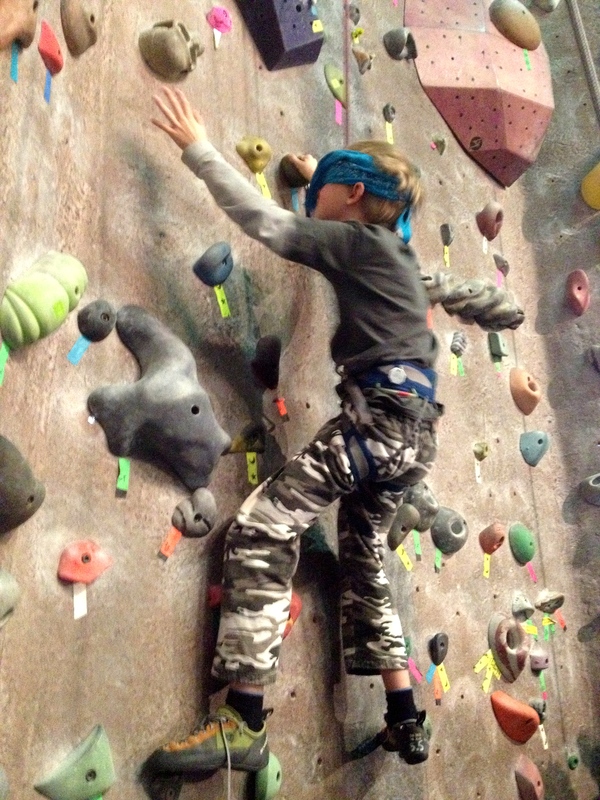 When you consider all this the risks were relatively low, yet for the children rock climbing blindfolded provided an exhilarating, risk-saturated experience. Our children are not inept. The are not reckless. They will only take on reasonable risks within their comfort level. The real issue lies in us, the adults, and in our own ability to trust, let go of fear, and accept that our children need to get hurt. Hurting is a part of life and the more practice we have with this as a child, the better chances we have of becoming the autonomous, healthy, well-adjusted adult we dream our children will become.